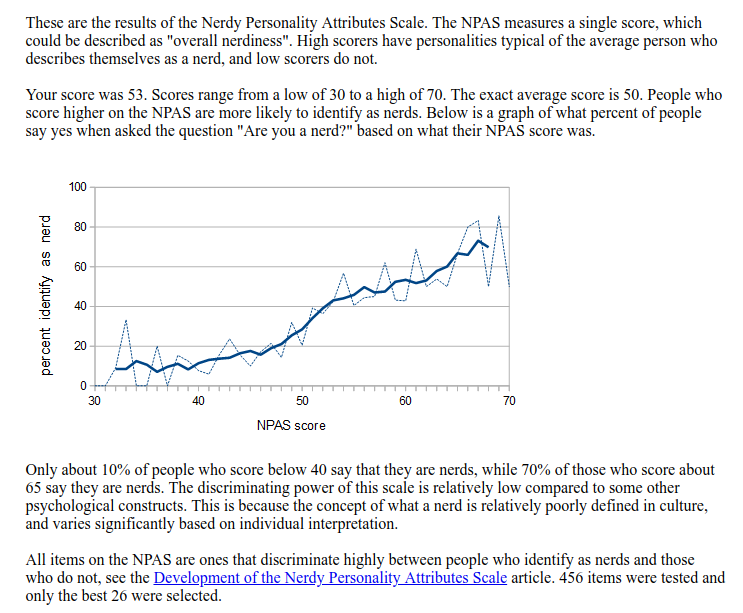 On this page I’ll present my results for various personality/morality tests, sort of like what gwern has on his site, as well as what Vipul Naik has on his site. Taken on 2018-02-06; test link. Taken on 2018-02-05; test link. 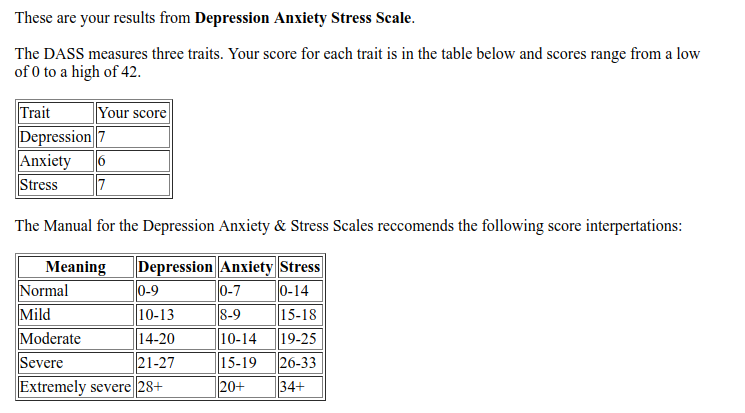 I think the results here are unusually low because I’ve managed to block off most of my stressors. 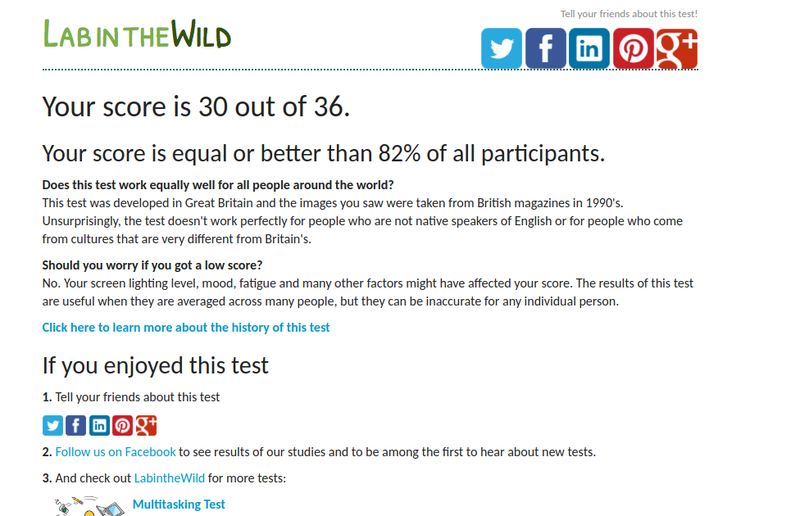 I should note that I took this test sometime around 2013–2014. I don’t remember what I got or if I still have the results. 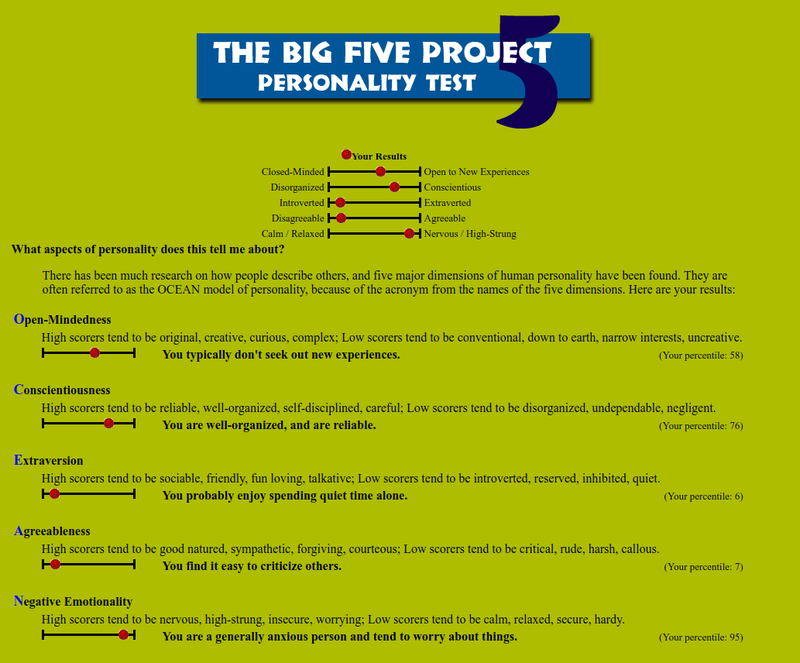 I think my score for this one is unusually low for two reasons: (1) I’m not very systemizing about things like plants, animals, and airplanes (I’m more systemizing about things like ideas and websites); (2) I tended to answer that I have difficulty understanding e.g. maps and diagrams because I think they are often poorly produced. I took the test at http://www.iqtest.dk/ on 2018-02-06 and got a score of 112. For context on this number, see this explanation by gwern. The MBTI is often mocked as “unscientific”, but I think it can be quite useful; see “On Types of Typologies” for more. I got chaotic neutral when I took the test on or around 2014-09-07. This was originally for a Quora answer. Many of the question statements came across as odd to me, because of the way qualifiers were used. For instance many statements used “some” to qualify statements, so that even if I believed the stereotypically libertarian position I would give the authoritarian-seeming answer.